It may seem like a strange way to judge the success of a smartphone, but the charts Flickr releases of the most popular devices used for taking photos for the social imaging site are interesting nevertheless. Apple’s iPhones have always done well when it comes to this particular metric – the iPhone 4 is currently the camera people most use when taking photos for Flickr, not just the most popular smartphone. Think about that for a second and then get back to us when it has sunk in. Done? Right. With that in mind it was possibly only a matter of time until the iPhone 4S found itself sitting in a spot high on such graphs from Flickr, and less than two months after its release to the public the smartphone has done just that. 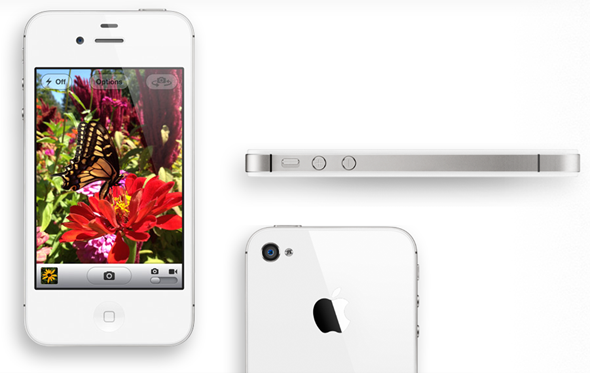 According to the latest charts from Flickr’s camera finder web page, Apple’s iPhone 4S is now the second most used cameraphone out there when it comes to uploaded photographs. In fact, Apple’s last four generations of iPhone – iPhone 4S, iPhone 4, iPhone 3GS and iPhone 3 – currently make up four of the top five handsets. Pretty impressive, really. Google’s Android for its part has just the one handset in that top five, with HTC’s EVO 4G being the one and only representative of Google’s mobile operating system. The quality of photographs kicked out by the iPhone 4 and 4S handsets is indeed extremely good, and not just for a smartphone. Images taken with the two, and particularly the latter of the models, have led many to suggest that the end of the point-and-shoot is near. While we think there will always be a market for such cameras, it is hard to deny that there is a shift taking place right now, and if we were the heads of the camera companies right now, we’d be taking notice. While the iPhone 4S may be some way from knocking the iPhone 4 from the top spot, we’re not brave nor stupid enough to suggest that it won’t happen at some point. That said, with the iPhone 4 now available at a knockdown price, Apple will continue to sell them by the truckload moving forward. It’s a license to print money, that iPhone!